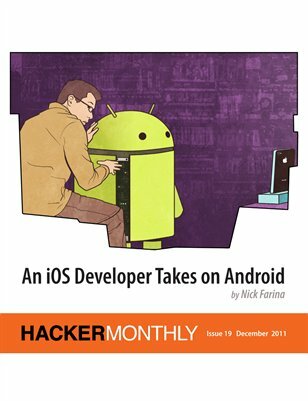 Our final issue of the year starts with the story of an IOS Developer taking on Android and longtime HNer "raganwald" talking about the “making dreams come true” business. And, if you like "Learn Vim Progressively" from the previous issue, check out "Vim Text Objects" in this one. Lastly, we've added a new "Hardware" section with articles about CPU hacking and MOS 6502.